Enrol in our Crystal Light Healing® Practitioner eCourse at anytime. Complete the course in your own time, at your own pace & in the comfort of your own home. On completion of your Crystal Light Healing® studies, graduate as an Internationally Certified Crystal Light Healing® Practitioner. 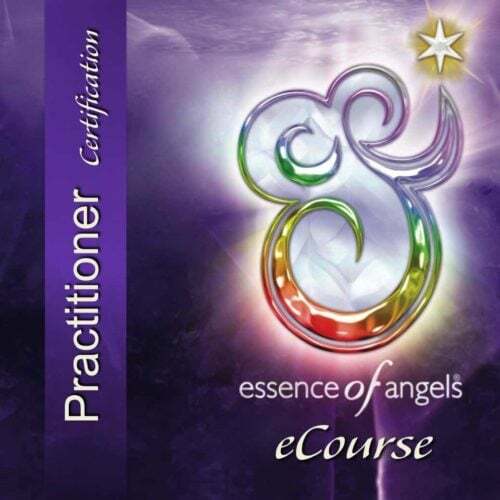 Deep from my Heart, I invite you to enrol in our Crystal Light Healing® Practitioner eCourse. Our Crystal Light Healing® Practitoner eCourse is completed on-line, in your own time and at your own pace. There is no need to engage in any aspects of the course at a certain time and date, as all the teaching videos/audios are pre-recorded and you can watch/listen to them as many times as you like at your own leisure. Plus you receive Lifetime Access to our Crystal Light Healing® Practitoner eCourse, such that you can refer back to the teachings at any time. Crystal Light Healing® is a profoundly transformational healing modality that re-awakens within you the story of Creation through ancient Crystalline Wisdom. Planet Earth is a giant Crystalline Orb of living/breathing consciousness and its portals & leylines hold the DNA expression of our planetary consciousness. When you consciously entrain with Earth’s Crystalline Wisdom, you re-remember who you are, why you chose this life-time on Earth and how to fully embrace your Soul potential here on Earth as a Divine Human. You awaken to your full Soul Potential as your Activate & Attune your DNA and step into being conscious architect of personal, planetary & cosmic Evolutionary Consciousness. Our Crystal Light Healing® Practitioner Certification eCourse provides you with real tools to bring spiritual/metaphysical principles into your life, whether you are a novice, dedicated healer or business professional. Crystal Light Healing® provides the potential to heal yourself/others/animals from dis-ease, become a clear channel of higher consciousness, catapult personal growth/evolution and elevate your professional performance in business. Crystal Light Healing® Practitioners eCourse comprises of Crystal Light Healing® Levels I, II & III. These three levels maybe completed in any order and there are no pre-requisites to enrol in our Crystal Light Healing® Practitioners eCourse. Whether you study our Crystal Light Healing® Practitioner eCourse for your own personal development or to graduate as an Internationally recognised Crystal Light Healing® Practitioner, our eCourse will be sure to accelerate your spiritual development and awaken your intuitive and psychic abilities in a nurturing, peaceful and loving sphere of consciousness. Graduates may also apply for International Registration with the IICT a professional association that recognises Crystal Light Healing® as an Internationally Accredited modality in over 26 countries around the globe – see details below. Our Universal Life Tools Metaphysical School is a Platinum Training Provider with the IICT (International Institute for Complementary Therapists). As a result, our Crystal Light Healing® Practitioner Certification course is an Internationally Accredited Course through the IICT in over 26 countries around the globe. On graduation as a Crystal Light Healing® Practitioner you may apply for membership with the IICT and enjoy such benefits as professional indemnity insurance, Practitioner Directory Profile with IICT, marketing resources, promotion through IICT etc. Our Crystal Light Healing® vibrational products (including our Crystalline Powders, Sacred Geometry Crystals, Oils, Posters & Divination Cards) support the facilitation of Crystal Light Healing® sessions. They make wonderful Crystalline Catalysts that support the activation and awakening of your DNA, help you move beyond fear/separation, foster healing from dis-ease and support you in experiencing yourself as a Divine Human. Please note, during your Crystal Light Healing® studies, you DO NOT need to purchase any of our Crystal Light Healing® vibrational products. During the eCourse you will learn the practical & intuitive methods of applying this modality without having to use any of our Crystal Light Healing® vibrational products. 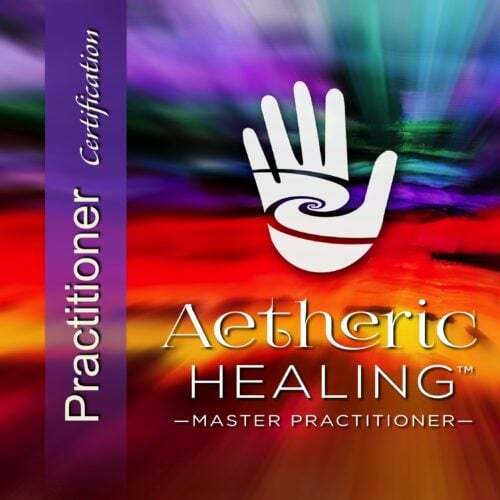 In addition, to graduate as an Internationally accredited Crystal Light Healing® Practitioner you DO NOT need to purchase any of our Crystal Light Healing® vibrational products to fulfill the requirements for graduation. Crystal Light Healing® Practitioner eCourse is completed on-line, in your own time and at your own pace. PLUS there is no time limit for when you must complete the course.  Downloadable pdf templates to support Crystal Light healing® Level I exercises. All the above teaching materials have been created personally by Simone M. Matthews – the founder & creatrix of Crystal Light Healing®. Throughout the 70 teaching videos, Simone guides you through the Crystal Light Healing® teachings, thus it is like having a personal workshop being facilitated especially for you and in the comfort of your own home. The 150+ page course manual teaching notes that accompany the videos give you a comprehensive insight into the wisdom and application of this healing modality. The supportive study resources & downloadable templates that are gifted as part of the eCourse are not compulsory, but rather give students the opportunity to expand their knowledge & application of Crystal Light Healing® across varying fields of interest such as colour therapy, sound therapy, aromatherapy, holistic therapies (naturopathy, nutrition, herbal medicine, homoeopathy) as well as hands on therapies such as massage, bowen, osteopathy, chiropractic, plus energy healing modalities such as Reiki, Crystal Light Healing® etc. Video 1 – Understanding the Creation of Crystalline Earth, what is Crystalline Wisdom & Consciousness & the knowledge of Ancient Lemuria & Atlantis. Video 2 – Insight into the Attributes of Crystals, basics of Sacred Geometry and why Crystals contain Akashic Records & our powerful facilitators of healing & transformation. Video 3 – Insight into how Crystals can be used for healing, channelling, meditation & personal growth & transformation. Understanding how we can simply incorporate crystalline energy into our day-to-day life. Incorporate a detailed discussion of the 30+ Major Formations of Crystals (one video for each Formation eg Transmitter, Bridge, Channeller, RecordKeeper, Faden, Enhyro etc). Brings together the ancient wisdom of Crystal Light healing® to support students in the basic practical application of the knowledge covered in Videos 1 to 57. Video 65 – Communicating with Crystals, Heart Crystalline Entrainment, Crystal Devas, 1st Dimensional Crystals, 8th Dimensional Master Crystal Energies, Accessing Akashic Wisdom held within Crystals. Programming of Crystal Pendulums. Video 66 – Programming of Crystals & the Programming of Pendulums via the 8D Master Crystal Energy of our Galaxy. Video 67 – Basics of Crystal Gridding. How to Crystal Grid your Home/Land/Office/Meditation Space. Crystal Grids to place around your bed for healing, meditation, cleansing & detox. Crystal Grids for Essence Making. Crystal Grids for Feng Shui. Video 68 – Detailed discussion in the ancient process of ‘Archeon’ and the creation of Crystal Essences & Crystal Elixirs for healing. Understanding structured ‘liquid crystal essence’ water (OH4), the science of structured water, the ancient wisdom of structured water and hence understanding the powerful potential of the Crystal Essences & Elixirs. Video 69 – Personal guided experiential video in creating your own Essences (Mother Tincture, Stock Bottle & Dosage Bottle)… incorporating the wisdoms from Modules 1, 2, 3 & 4. Video 70 – Supportive tools for Crystal Light Healing® Level I, and information about Levels II & III, including graduating as a Crystal Light Healing® Practitioner. Access to additional CLH Student Resources. On completion of Crystal Light Healing® Level I, you receive a Certificate of Completion. Downloadable pdf templates to support Crystal Light healing® Level II exercises. Throughout the 15 teaching videos, Simone guides you through the Crystal Light Healing® teachings, thus it is like having a personal workshop being facilitated especially for you and in the comfort of your own home. The 150+ page course manual teaching notes that accompany the videos give you a comprehensive insight into the wisdom and application of this healing modality. Video 1 – Understanding Crystalline Earth, the connection of our Crystalline Matrix to Crystalline Earth and an insight into the work & sacred knowledge of Atlantis & Lemuria. Video 2 – Detailed teachings regarding your Crystalline Matrix (Auric Field) including indepth understanding of the function of the 7 levels of your Octahedron Crystalline Matrix – how they came into beingness and their interaction with the activation/attunement of your DNA. Insight into your Higher-Self, what your Soul Blueprint is within your Crystalline Matrix and the potential it creates for you for your evolutionary journey. Video 3 – Insight and indepth discussion behind the ancient meaning of the words ‘Healing’ & ‘Healer’ and our relationship and sacred knowledge of Intention, Intuition & Consciousness regarding Crystal Light Healing® sessions. Video 4 – Overview of a Crystal Light Healing® Healing Session (Level II) & a deeper understanding from Module 1 of what it means to be a Crystal Light Healing ‘Healer’. The importance of the ‘Client’ & ‘Healer’ relationship in relation to science / psychology, the placebo effect studies and the sacredness of engaged care. Video 6 – Setting of Intention, Permission, Blessing & Invocation, Lightworker. Understanding the power of Intent to mold the Holographic Field. Reflections on Quantum Creativity & Quantum Science.  Video 7 – Establishing & Grid Connection for a Crystal Light Healing® Healing Session. 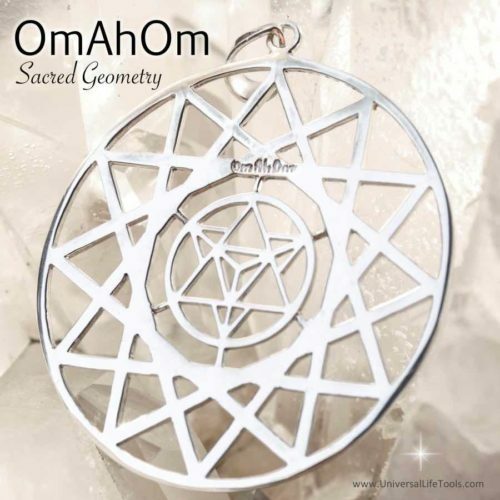 Basic Octahedron Light Body Gridding – connection with the Earth Heart & Higher-Self. Video 8 – Merkabah Light Body Gridding, how to activate & access Ketheric Level Template. Detailed discussion of the Merkabah and ancient wisdom. Video 9 – Chakra Gridding & Advanced Gridding for Crystal Light Healing®. Detailed discussion of Grids, mini-grids, powerful access templates to the Earths LeyLines & Portals. Video 10 – Heart & Higher Heart Activation Gridding, Merkabah access Emotional Template Gridding. Video 11 – Sky Star Activation Gridding, Merkabah access Astral Level Gridding, Soul Readings through the Akashic Field. Video 13 – FULL interactive Crystal Light Healing® healing session demonstration facilitated by Simone. Indepth understanding and practical exercises for distance healing sessions & distance healing essences. Video 13 – CLH Distance Healing Sessions (Self & or Clients) PLUS Essence/Healing Template Creation PLUS brief discussion of the ancient wisdom of structured liquid crystal water (OH4) – advanced teachings information from CLH Level I. Video 14 – FULL interactive Crystal Light Healing® healing distance healing session demonstration facilitated by Simone. Video 15 – Supportive tools for Crystal Light Healing® Level II, and information about Levels I & III, including graduating as a Crystal Light Healing® Practitioner. On completion of Crystal Light Healing® Level II, you receive a Certificate of Completion. Downloadable pdf templates to support Crystal Light healing® Level III exercises. Throughout the 17 teaching videos, Simone guides you through the Crystal Light Healing® teachings, thus it is like having a personal workshop being facilitated especially for you and in the comfort of your own home. The 160+ page course manual teaching notes that accompany the videos give you a comprehensive insight into the wisdom and application of this healing modality. 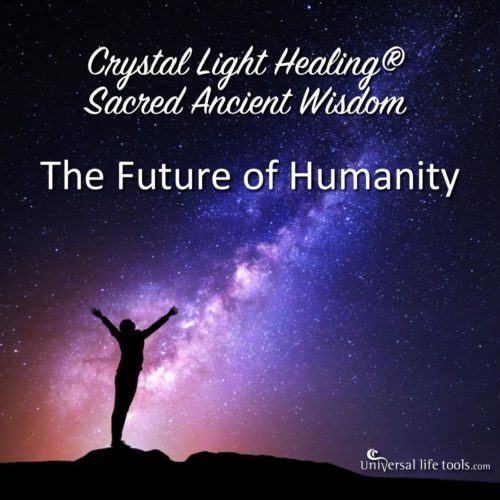 Provide the foundational knowledge through science & ancient wisdom gifting deepest insight, efficacy & sacred potential of Crystal Light Healing® & our connection with the Cosmic Field. Video 1 – Crystalline Earth & our 13 Energy Centres of Consciousness. The connection of our Crystalline Matrix to Crystalline Earth and understanding the Quantum Potential of Humanity through the Galactic Cycle of Creation. Understanding the dimensional influence of Alcyone, Pleiades, Sirius & the Galactic Centre through the 8 Dimensions of Creation. Video 2 – Detailed teachings of the Creationa Story through Sacred Geometry – Genesis, Egg of Life, Flower of Life, Fruit of Life & Metatrons cube – incorporating the Golden Mean & Toric Fields. Expression of our 13 Energy Centres of Consciousness. Video 3 – Understanding of the power of Sacred Geometry as the weaver of Crystalline Energy through the Elements of Creation. How our 13 Energy Centres (Chakras) come into beingness through the greater Toroid of our Galaxy, Fibonacci Spiral and the Golden Mean. Videos 4A & 4B – The Sacred Principle of 5, Acute & Chronic Healing through the Sacred Principle of 5. Videos 5A & 5B – Understanding Sound, what is it, how can we use it, how does SOUND bring form to the Universe. How our intention (sound) creates form (wave or particle theory). Insight into cymatics, sonoluminesence & entrainment. Understanding the innate sound of our Crystalline Matrix, planets & the galaxy. Videos 6A & 6B – Understanding Colour, how sound brings colour into form. How light through the prism of our Soul creates our Chakra spectrum and the universal colours of creation. Video 7 – Overview of our DNA (the old & new science) incorporating the 13 Levels of Consciousness of our DNA – 2 strands + 11 Energetic bodies. Videos 10A & 10B – DNA Session Programmed Crystal – Light Activation Point of Golden Crown Diamond. Videos 11A & 11B – Golden Crown Diamond Activation, Pineal Gland & Primordial Cell communication – incorporating Alta Major & Causal Chakra. Video 13 – Detailed teachings into the 13th Attunement & Weaving of DNA. Video 16 – Full Demonstration Training Video of a DNA Activation & Attunement Healing Session. Indepth understanding and practical exercises for DNA distance healing sessions & DNA distance healing essences. Video 17 – Greater Understanding of the Galactic Cycle, Quantum Leaps and the Greater Vision for Humanity. Video 18 – Advanced Crystal Light Healing® Teachings (this Video is NOT compulsory – only for students ready to real stretch their knowledge/education). Video 19 – CLH Consultations – Bookings, Case History Forms, Treatment Plans, Healing Crisis etc..
Video 21 – Supportive tools for Crystal Light Healing® Level III, and information about Levels I & II, including graduating as a Crystal Light Healing® Practitioner. On completion of Crystal Light Healing® Level III, you receive a Certificate of Completion. 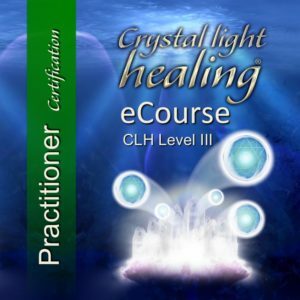 This Crystal Light Healing® Practitioner eCourse is NOT a face-to-face course, but rather is an eCourse that you complete on-line, in your own time and at your own pace. There is no need to engage in any aspects of the course at a certain time and date, as all the teaching videos/audios are pre-recorded and you can watch/listen to them as many times as you like at your own leisure. Plus you receive Lifetime Access to our Crystal Light Healing® Practitioner eCourse, such that you can refer back to the teachings at any time.  If you would like to attend Crystal Light Healing® Levels I, II & III as face-to-face workshops (ie attend a workshop in person), then please take a moment to visit our Registered Teachers Events Schedule and find a workshop in our local area. Do I need to buy Crystals ? The Crystal Light Healing® Practitioner eCourse teachings are very detailed and contain visual demonstrations & experiential exercises. In order to complete the exercises, you will be required to use your own personal crystals for the exercises. Please DO NOT purchase any Crystals upfront as you may find you can borrow crystals from family/friends in order to complete the course. Then upon course completion you can decide which crystals you would like to purchase to support your future crystal healing sessions. Please note that during the Crystal Light Healing® Practitioner eCourse teachings you also have the opportunity of using ‘Aetheric Crystals’ – Master Crystals in the Aetheric Realm – thus you may find it unnecessary to physically be the owner of hundreds of crystals in order to be a Crystal Light Healing® Practitioner.  Also, as discussed above, to study and graduate as an Internationally accredited Crystal Light Healing® Practitioner you DO NOT need to purchase any of our Crystal Light Healing® vibrational products to fulfill the requirements for graduation. You can enrol in our Crystal Light Healing® Practitioner eCourse at ANYTIME and there is no time limit for completion of the Course. To enrol in our course, simply ‘ADD to CART‘ at the top of this page and proceed through to checkout. Your enrolment in our course is agreement to our Terms & Conditions. Upon enrollment in this Crystal Light Healing® Practitioner eCourse, you will receive an email which is your receipt of purchase. This receipt will contain a link which gives you full access to the on-line Crystal Light Healing® Level Practitioner eCourse.